"Music programs have been scaled back or eliminated altogether from the curricula of many schools. Luckily, storytimes are ideal opportunities to promote music and songs. 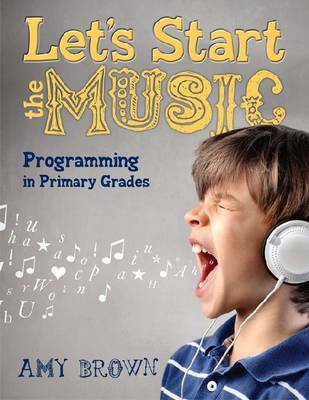 In this collection of easy-to-use, easy-to-adapt library programs for children in grades K-3, Brown connects songs and musical activities directly to books kids love to read. Offering several thematic programs, complete with stories, songs, and flannelboard and other activities, her book includes Music activities, lists of music-related books, mix-and-match activities, and additional web resources Terrific tips on how to teach songs to young children Ways to develop original songs and rhythms to enliven children's books Even if you can't carry a tune in a bushel basket, this handy resource has everything you need to start the music in your storytimes.""